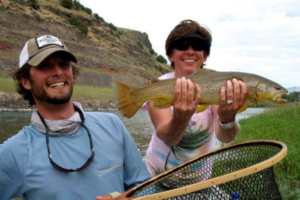 Guided fishing tours allow you to perfect your fly fishing skills and enjoy the thrill of spending time on the water. You can spend a full day—or even just part of a day—to take in the scenic views and catch fish. Below, we share five places that offer the most exciting and rewarding fly fishing trips in the West. Whether you’re a beginner or an expert, Grand Fishing Adventures’ exceptional instructors will ensure you meet your fly fishing goals. They’ll help you find the best fly fishing spots and safely catch an abundance of impressive fish. You can embark on a fly fishing trip on one of three different rivers: Green River, Salt River, and Snake River. Wildlife lovers are sure to appreciate the stunning views and plentiful fish. 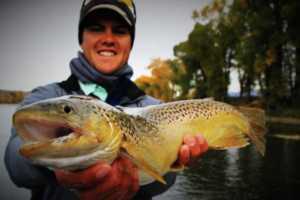 Have you always wanted to fly fish in Grand Teton National Park? 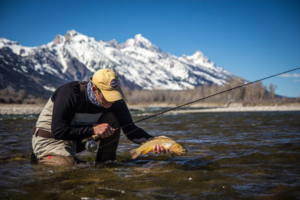 Grand Teton Fly Fishing ensures a successful Jackson Hole fishing trip. It doesn’t matter how much experience you have—a guide can help you effortlessly navigate the lakes and streams. You’re sure to catch plenty of fish here. 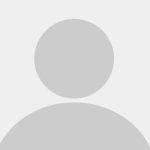 Additionally, the guides regularly take fishing trips to brush up on their knowledge, so you’re always learning from the most skilled people in fly fishing. Snake River Angler offers guided fishing tours for people of all experience levels in Grand Teton and Yellowstone National Parks. 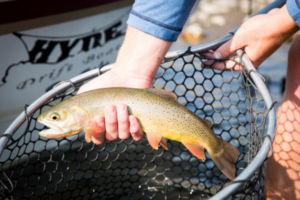 Whether you’re just starting out or you’ve fished for years, you’ll have the opportunity to catch an abundance of brown, cutthroat, and rainbow trout. Snake River Angler’s guides are not only friendly, but also passionate about teaching the fly fishing sport. If you need help on the water, any of the guides at Snake River Angler would be happy to assist you. If you want the finest fly fishing experience in Idaho, make your way to The Lodge at Palisades Creek. Led by a highly knowledgeable guide, you’ll have the opportunity to catch large native trout on the South Fork of the Snake River. The guides go above and beyond to make sure you become a better fisherman. After your day out on the water, you’ll come back to luxury dining and lodging. The Lodge is truly a treat; in fact, 85% of current clients return for more fishing trips. 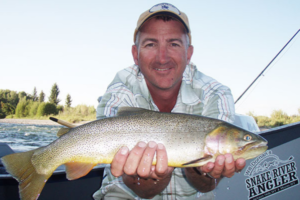 Searching for the best waters in Eastern Idaho and Western Wyoming? Book a trip with a guide from World Cast Anglers. You can fish on the Green, Salt, and Snake Rivers, and you’ll have access to numerous lakes and reservoirs, where dozens of fish species of all sizes live. Plus, the guides at WCA are ready to exceed your expectations; they provide highly personalized experiences, so you can become one step closer to mastering the art of fly fishing.